I love it when you come across really creative ideas that are able to transform something as boring as a bed headboard into a focal point within a room. 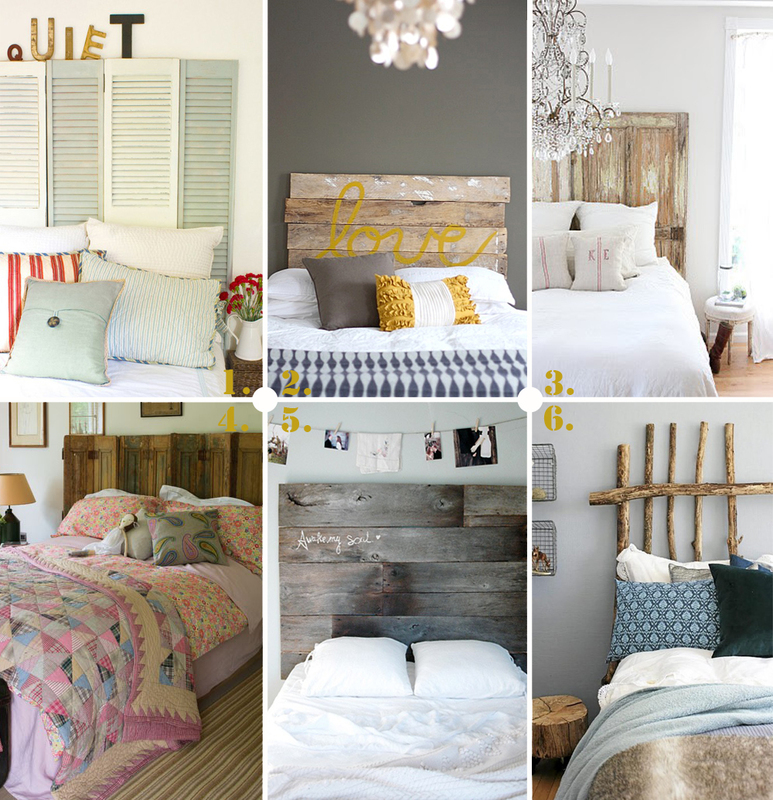 If you wanted to create one yourself, you could buy a quite plain bed and make it completely unique and personal from piecing together some old planks of wood, doors, shutters, room screens or even branches. And then you could paint it, age it, create patterns, write on it, pin photos to it or use it as a shelf... there are just so many possibilities!